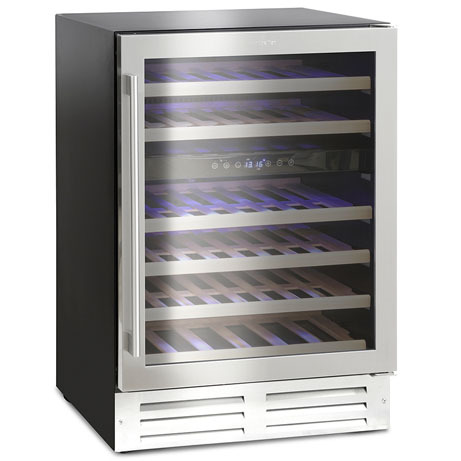 This Montpellier 46 Bottle Wine Cooler has ample space to cool and store your wine collection. This wine cooler is a modern addition to any home or utility room providing the perfect ambient environment for your beverages clearing room in your cupboards or free up that much needed room in your fridge. Sleek, Stylish and Stainless Steel – this 60cm wide Wine Cooler will sit under your kitchen counter, proudly showing off your wine collection and adding a sense of style and sophistication to your kitchen. 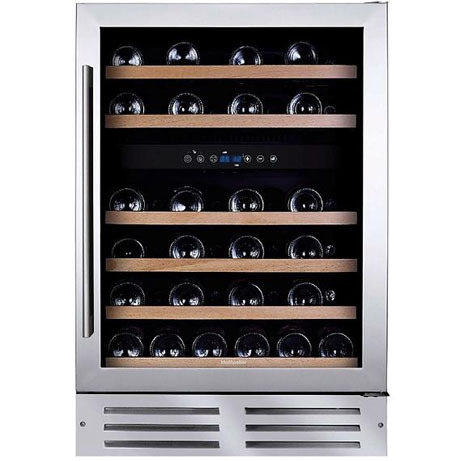 This wine cooler has dual temperature zones, with 2 shelves at the top capable of between 2°C to 20°C and 4 shelves at the bottom for wine at a temperature between 12°C and 20°C, this makes it ideal for keeping Red & White wines at different temperatures. 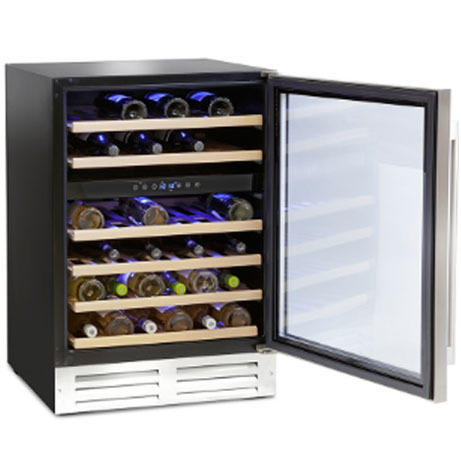 This wine cooler has blue interior lighting – bathing your bottles in a blue light that really helps showcase your collection, while the shelves are made from Beech to prevent condensation.